He may be young, but Marc-Andre ter Stegen has been performing like a seasoned veteran ever since he broke into the Borussia Mönchengladbach first team during the back end of the 2011-12 season. Having joined his hometown club as a precocious five-year-old in 1996, ter Stegen has risen inexorably through the ranks to establish himself as one of Europe's hottest goalkeeping properties. The agile shot-stopper was biding his time in Gladbach's reserves when new head coach Lucien Favre presented him with the opportunity to make his mark in a side struggling for Bundesliga survival. It did not take long for Favre to realise he had made a highly valuable addition to the team. Capped at every level for Germany between U-17 and U-21, ter Stegen has moulded himself into the archetypal modern keeper, operating as a part-sweeper behind the defence and helping build play from the back. Comfortable in possession and accurate with his passes, he regularly gets more touches on the ball than some of his outfield colleagues. 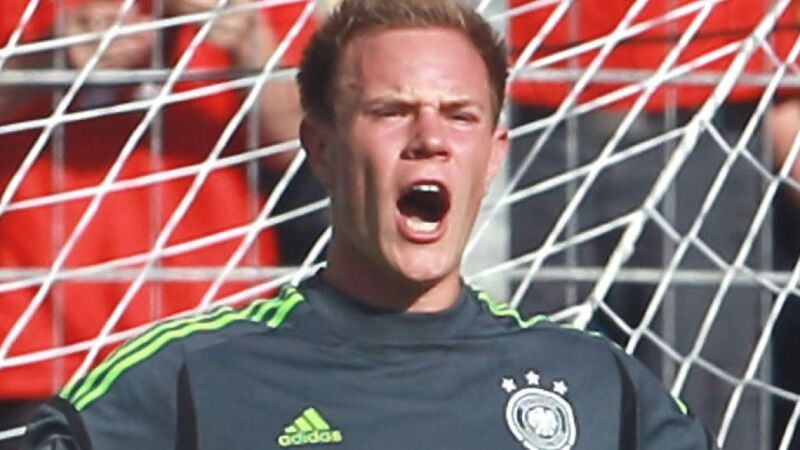 On the back of a domestic campaign in which ter Stegen conceded just 24 goals, Germany head coach Joachim Löw drafted the young custodian into his preliminary squad for UEFA EURO 2012. However, his first taste of senior international football wasn't that sweet as die Nationalmannschaft were on the receiving end of a thumping 5-3 friendly loss to Switzerland. Despite not making the eventual squad that travelled to Poland, the youngster wasn't fazed, as he went on to produce another stellar performance throughout the 2012/13 Bundesliga campaign. Gladbach's custodian conceded just over double (49) the amount of goals as he did in the previous season, but still there's no doubt the steep upward trajectory of Marc-Andre ter Stegen's remarkable career is set to continue.